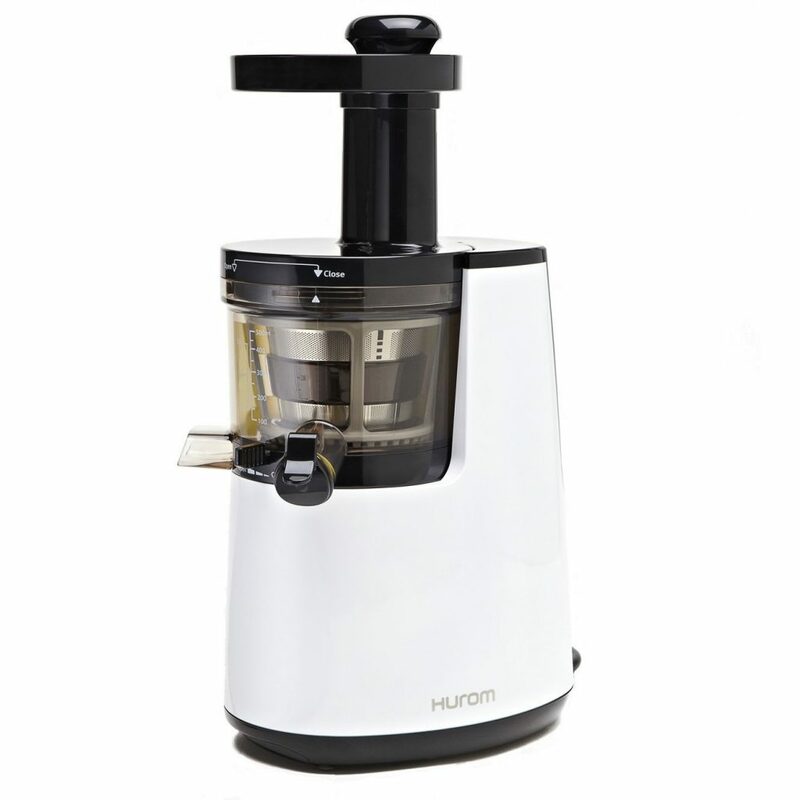 The Hurom Premium ﻿Masticating Slow Juicer﻿ and Smoothie Maker (HH Series) is not just a juicer but goes beyond it to make your smoothies and even baby food. State of the art technology allows the smoothies to be extra “smooth” and extends to satisfying your culinary needs like purees and blended fruits and vegetables. Up to approximately 60% of the vitamins and other enzymes are retained and preserved in the juices in order to make it more nutritious especially the nutrient hat are heat sensitive like Vitamins C and A and some of the enzymes. The process in which the juicer works is divided into two steps which include the slicing and crushing of the fruits and vegetables and then the pressing of the ingredients to ensure that maximum yield of juice is possible. The volume of juice extracted exceeds almost 35% of the normal volume. The amount of pulp you get can be customized according to your need, thanks to the Pulp control lever which the Hurom Premium Masticating Slow Juicer is enabled with. Once customized the excess pulp is drained into a strainer located internally. 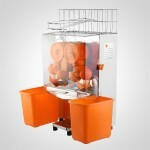 After use, the juice cap also easy cleaning process making the entire juicing experience very light and hassle free. The use of the strainers both fine and coarse makes it possible to juice any fruits or vegetables includes the leafy variety. The Ultem Strainer and Auger are built heavy duty and are 8 times stronger than most others. 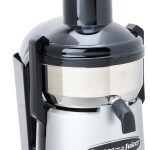 The appliance is made available with two juicing cup of 32 ounces, extraction plugs, screen holders for self-cleaning, brush and tamper. An Instruction manual is also provided for quick and easy reference and guidelines. Construction Material: Stainless steel and plastic construction. The facility to customize the pulp can be decided by the users depending upon their need. 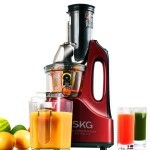 An additional juicing basket is provided for juicing of whole foods and also to make smoothies. 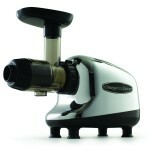 The juicing bowl is magnetic so it can be easily attached and removed from the base of the appliance. The warranty period of 2 years on the operational parts is too short. Jamming of the foods likely when foods are fed into the appliance in quick succession. 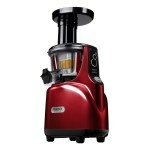 Using and caring the Hurom Premium ﻿Masticating Slow Juicer is really simple. Metal scrubbers, clearing material other than mild detergents and scouring powders should be strictly avoided. The cleaning brush is provided which is so built that every nook and crevices can be clean thoroughly.